Ski to Val Thorens up to -70% off To take advantage of these offers, join now for free! Val Thorens is regarded as one of the most impressive ski resorts in the Alps. Purpose built more than 40 years ago to take advantage of the exceptional skiing environment in the Belleville Valley. Val Thorens has grown to become one of the largest ski centres in Europe and offers skiers of all abilities an unbeatable range of activities both on and off the slopes. The resort sits at the centre of the 3 Vallées network, the largest network of pistes in Europe, with more than 600 km of slopes to suit all abilities. But if that’s not enough, there is also direct access to two other ski areas, Orelle (150 kilometres of runs) and La Vallée des Belleville (300 kilometres of runs), which both offer some of the most challenging skiing in the Alps. But skiing is only part of the story when it comes to Val Thorens. As the highest resort in the Alps skiers here not only get access to the best quality snow, they also benefit from stunning views across the Belleville Valley and beyond. It is said on a clear day more than 100 alpine summits are visible on both the French and Italian side of these majestic mountains. The snow in the 3 Vallées is regarded as some of the best in Europe, as a result, Val Thorens offers skiers an unbeatable range of slopes and trails to master. From beginner friendly pistes to cross-country trails and challenging off-piste areas there is something in this resort for skiers of all abilities. But skiing aside, Val Thorens is also a family friendly resort with plenty of things to keep the family entertained after a busy day on the slopes. The town centre has a well-equipped sports centre and spa complex which provides a range of treatments including a steam room, sauna, jacuzzis and two swimming pools. While children from the age of six months can take part in a range of instructor-led activities including dance lessons, aqua-gym, aqua-biking and swim classes. The resort also has a wide range of non-ski activities available. Visitors can try their hand at ice diving, ice climbing, tobogganing, helicopter flights and zip riding down the mountain. There is also more than 15 km of hiking trails to explore, which range from the short 2.1km Lacs Path which is mostly downhill to the more challenging 6.1km Moutiere Path which takes in stunning views across the Mountiere plateau. This may not sound like the most comfortable idea, but this is no ordinary igloo. With its own bathroom, heated wood stove and comfy bed, guests get to enjoy a romantic night under the stars without sacrificing any creature comforts. Perfect for recharging your batteries and relieving sore muscles, yoga at altitude is like normal yoga but supercharged. Your experienced yoga instructor will show you how to meditate, stretch your body and maintain good spiritual health. Something that you will benefit you for the rest of your life. As the highest resort in the Alps, Val Thorens offers stunning views from every angle, but for the best views, you need to visit the Cime Caron viewpoint on top of the mountain. Accessible by cable car, Cime Caron offers 360º views across the 3 Vallées and beyond. On a clear day, you can see Lake Geneva 237 km away. 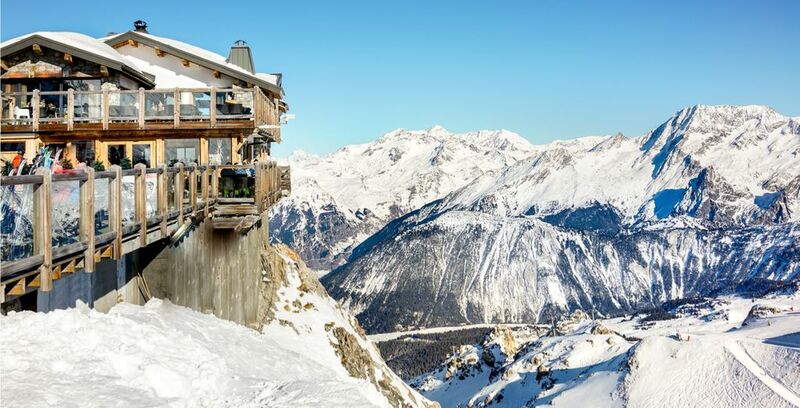 For younger travellers, a visit to La Folie Douce is a must. This high altitude bar is famous for its full-on party atmosphere which includes sets by top DJs, cabaret shows and themed party nights. There is no better way of exploring the 3 Vallees than trekking through untouched snow while enjoying the calm and tranquillity of the mountain pass with an experienced guide. Warm clothing and hiking boots are all that's required. 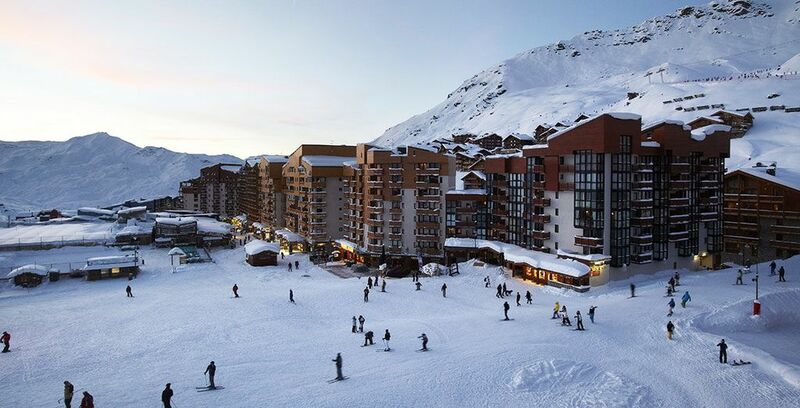 The legendary Le Val Thorens hotel sits close to the slopes and offers guests sumptuously decorated rooms in a contemporary style complete with luxury bathrooms, free Wi-Fi and a balcony offering stunning views of the valley below. The Hotel Club Les Neiges is a well equipped stylish hotel located at the foot of the slopes and offers direct access to the 3 Vallees skiing area. The hotel is well equipped and suitable for families. The elegant Fitzroy Hotel is a Val Thorens institution and is the perfect place to unwind after a hard day on the slopes. All the rooms are elegantly furnished in a contemporary style and yet still provide that authentic traditional alpine feel which people love. Val Thorens is easy to get to by both air and train. The resort is located close to 4 international airports including Saint-Exupery, Chambray, Geneva and Grenoble. All airports provide direct bus services to the resort during the ski season. The journey time from Geneva Cointrin Airport takes approximately 2.40mins. The nearest train station is Moutiers which is located just 37 km from the resort. The station provides SNCF services direct to Paris and other major cities across France. Free shuttle buses are available from the station entrance with the journey taking approximately 1 hr. What to pack for your ski holidays and how to dress? Being located at the top of a mountain Val Thorens is exposed to the cold and wind so travellers are advised to wrap up warm. A ski jacket is a must along with ski trousers, leggings or tights. Base layers are also important to prevent moisture build-up. You will also need a helmet, goggles, gloves and mittens. Sunglasses are also advisable because the mountain sits above the clouds leaving you exposed to the suns rays as it reflects off the snow. Lip balm will also come in handy but can easily be purchased at the resort if necessary. The best months to visit Val Thorens are February through April. You can be guaranteed good snow coverage during these months with the weather warming up considerably during late March. April is often the snowiest month and provides the best skiing conditions, the weather is also good at this time of year in between the snow showers. December can be a bit hit or miss, the snow falls late here so you can’t be guaranteed of good skiing conditions early in the season. 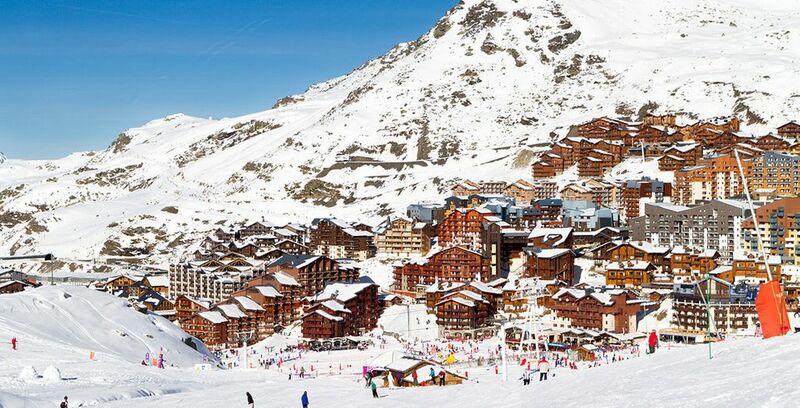 Val Thorens is a family-friendly resort with accommodation and entertainment options to suit all budgets. As a rough guide, a ski pass costs around €200 for a week but discounts are often available at your hotel. Food prices vary, with a sandwich costing around €7-10 while a sit-down restaurant meal will cost anywhere from €25-40 per person. Drinks are extra and will cost around €5 each. You should also budget for ski and equipment hire which ranges from €30-50 per day/per person. Discover more great ski holidays.